No need to ask Devin Shore if he and his Dallas Stars teammates are a motivated group heading into the 2018-19 NHL season. Throughout the 2017-18 Stanley Cup Playoffs, Shore, who had completed his second full big-league campaign, tuned in often to catch the action as teams faced off for hockey's top team trophy. He liked what he saw. He just didn’t like not being part of it. For the past two seasons and three of the last four campaigns, Dallas has been on the outside looking in when it comes to the post-season picture. Shore, who tallied 11 goals and had 32 points in 2017-18, is eager to see the Stars fortunes change. “I’m definitely going to come in confident and very motivated this year,” said the Ontario native who has yet to experience NHL playoff hockey. “I think if you ask anyone on our team they’ll give you the same answer. We have a really good team, but we haven’t been good enough the past two years. That’s the reality of it and no one is happy about it. 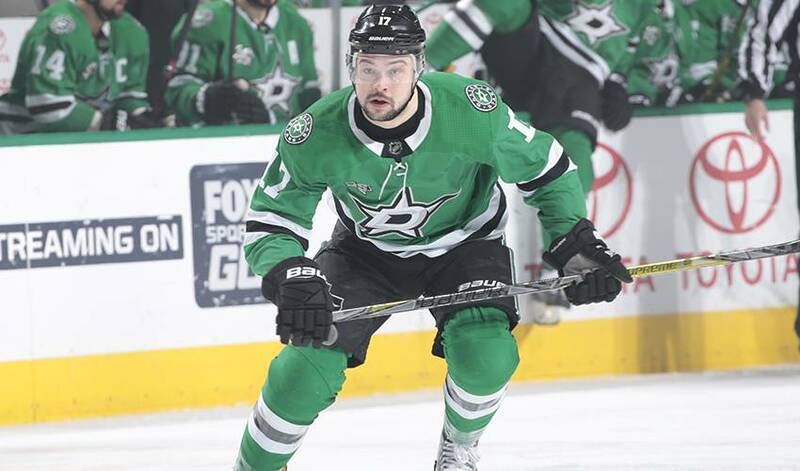 Shore, who played three seasons at the University of Maine, points to captain Jamie Benn as a key figure in the Stars quest to make it back to the Western Conference playoffs. He also notes a well-rounded roster as another reason to have hope heading into 2018-19. Shore has reminded himself of that throughout the off-season. Veteran forward Blake Comeau stopped by NHLPA.com before he and his teammates take on the Nashville Predators in the Western Conference First Round. We served up five teammates’ names to Devin Shore and asked the Dallas Stars forward to come up with the perfect Halloween costume for each one. While being described as “disruptive” doesn’t exactly sound like a compliment, it’s the ultimate praise when it comes to Blake Comeau.